SCE crews are at the ready as heavy storms are forecast for Southern California. Additional crews and staff are being brought on as Southern California braces for several inches of rain Friday. 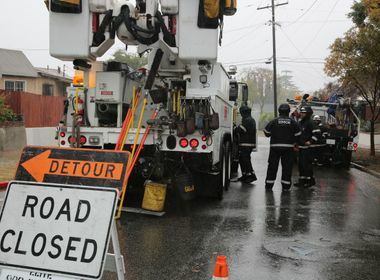 Southern California Edison is ramping up preparations as a storm described as the strongest in years descends on Southern California Friday. 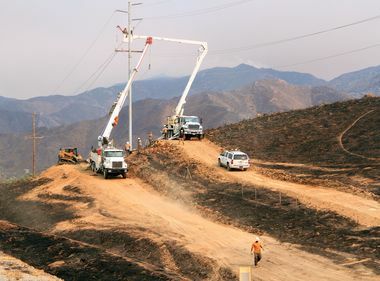 “Because of potential high rates of rainfall, this most likely will be the most daunting storm this season,” said Nicholas Sette, an SCE staff meteorologist. He said the storm will tap into tropical moisture that will result in rain of up to 1 inch an hour Friday afternoon and evening, increasing the threat of flash floods in low-lying areas and mud and debris flows on water-soaked hillsides. The heavy rain, which will hit a broad swath of Southern California from Santa Barbara to San Diego, will be accompanied by winds up to 65 mph along the coast and 55 mph inland. The one-two punch of heavy rain and high winds prompted SCE to bring on extra crews to respond to outages as quickly and safely as possible. Additional substation operators are being brought in and previously planned maintenance outages have been canceled. Additional staff also is being assigned to work with public agencies and to field customer service calls. Damage assessment teams are being dispatched in advance to areas where problems are likely. Recent heavy rains have caused flooding and filled reservoirs across the state. 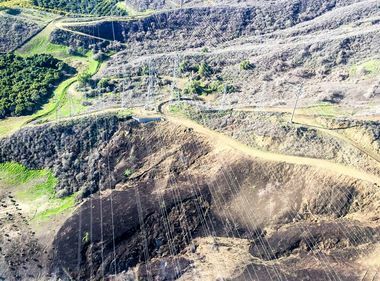 Philip Herrington, SCE vice president of Generation, said the company currently does not see any meaningful parallels between the Oroville Dam and its spillway issues and SCE’s dams in the Sierra Nevada in the central part of the state. He said he has no immediate concerns about the safety of SCE’s dams or the public. In anticipation of the storm, SCE personnel are working with downstream entities to move as much water out of the system as possible to make room in the reservoirs. Safety is SCE’s top priority. Heavy rains and winds increase the chance of downed power lines. Anyone who sees a downed line should stay away from it and call SCE immediately at 800-611-1911 or call 911. Also, wet yards with puddles on cement or grass can carry electricity. If a line is down in the yard, remain inside and call 911 immediately. Beware during flooding. Just 6 inches of moving water can knock you down and 2 feet can sweep your vehicle away. Make sure you have a battery-operated radio and flashlights. Check the batteries to make sure they’re fresh. Use flashlights for lighting during a power outage. Do not use candles because they pose a fire hazard. If you use a generator, place it outdoors and plug individual appliances directly into it, using heavy-duty extension cords. Connecting generators directly to household circuits creates “backfeed,” which is dangerous to repair crews. What you may not know is that, due to a similar build-up of particles, the first-rain of the season can also impact your electrical service, creating the potential for equipment problems that may result in power outages in your community.